IIHS Top Safety Pick. Only 43,190 Miles! Delivers 36 Highway MPG and 26 City MPG! 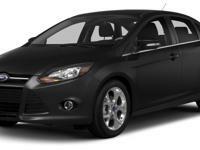 This Ford Focus delivers a ENG: 2.0L I-4 GDI TI-VCT engine powering it's smooth transmission. Wheels: 16/ Painted Aluminum Alloy, Variable Intermittent Wipers, Urethane Gear Shift Knob. *This Ford Focus Comes Equipped with These Options *Trunk Rear Cargo Access, Trip Computer, Transmission: 5-Speed Manual, Tires: 16/, Systems Monitor, SYNC Communications & Entertainment System -inc: 911 Assist, VHR, SYNC Services, AppLink, Bluetooth, steering wheel controls, USB port and auxiliary input jack, Strut Front Suspension w/Coil Springs, Streaming Audio, Steel Spare Wheel, Single Stainless Steel Exhaust. * This Ford Focus is a Superstar! *IIHS Top Safety Pick, KBB.com Brand Image Awards. * See What the Experts Say! *As reported by KBB.com: Want an efficient compact sedan with style, efficiency, technology and comfort that's still fun to drive? Give the 2014 Focus your close attention. * Stop By Today *Test drive this must-see, must-drive, must-own beauty today at Walker Ford, 17556 US 19 N, Clearwater, FL 33764. Walker IS Ford! Invoice Pricing? Employee Pricing? Tired of the gimmicks? 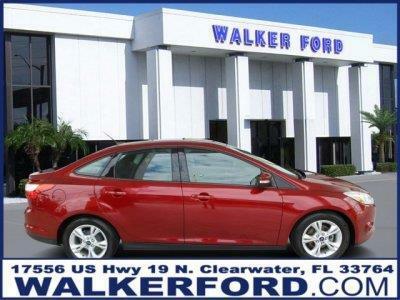 Get the lowest price, the best customer service and HUGE selection every time at Walker Ford. Stop in today, we are conveniently located off US 19 in Clearwater, view the map for direction, and don't forget to check out our 5 star reviews while you're at it! Copyright © 2019 Americanlisted.com, All Rights Reserved.